Bored of the NetPromoter Score? NetEasy is the new way to measure customer loyalty. 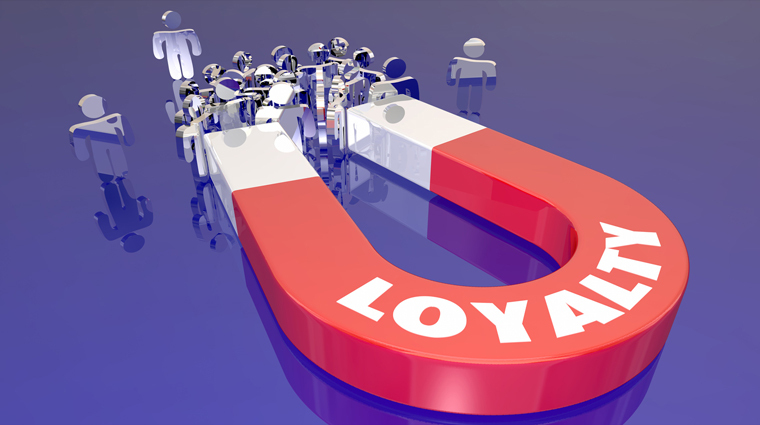 In the last three years, there has been a decline in customer loyalty, with 50% of UK residents now claiming that loyalty is a thing of the past. However, 74% of people say that they will do repeat business with a company if the experience is easy. 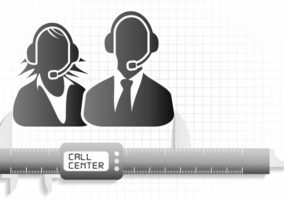 In the contact centre, this relates to how knowledgeable your agents are, how easy it is to get through to the right department and how quickly your customers’ problems are resolved. The NetEasy Score is a way of measuring how easy your customers find it to interact with your business. It evolved from the Customer Effort Score, and the question “How much effort did you need to put forth to do business with us today?”. BT found that the wording of the Customer Effort Score question confused a lot of people, and reworded it to “Overall, how easy was it to get the help you wanted today?”. This simplified question was then added into their customer feedback surveys and answered on a scale of 1-7 (with 1 being extremely easy, and 7 being extremely difficult). The NetEasy Score is calculated in a similar fashion to the NetPromoter Score; the percentage of difficult scores (taken from scores 5-7) is subtracted from the percentage of easy scores (taken from scores 1-2) to produce a single number – your NetEasy Score. Does NetEasy replace the NetPromoter Score? 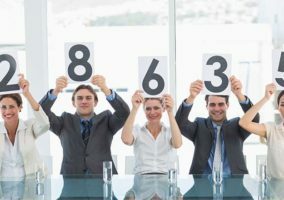 The NetEasy Score is just one of a number of ways to measure how your customers feel about your services, and should be used in addition to the C-SAT and NetPromoter Score for maximum effect. Using these two questions in conjunction will enable you to identify what your customers find difficult about your processes and make targeted efforts to simplify things. For example, BT’s NetEasy Score revealed that a lot of customers were having difficulty with their IVR survey system, as it was cluttered with complicated language and menu options. In response to this, BT are now simplifying these elements of their IVR system to make the process easier for their customers. Is it enough just to make things easy? Back in 2010, the Customer Effort Score suggested that there was no need to exceed customer expectations, you just had to make your processes easy and your customers would be happy. However, Professor Moira Clark has since found that you do still need to exceed your customers’ expectations; but only when they appreciate it, otherwise you do just need to make it easy. The NetEasy Score and other such measurements are about identifying where these satisfaction points are (where the “cherries” need to stay), and where you can afford to remove the expensive “cherries” and opt instead for simplicity. This information can help you to channel your company expenditure more efficiently. The start-up costs of introducing the NetEasy Score to your contact centre are relatively low, as all you need to do is add the question into your existing customer feedback questionnaire. The more significant costs are likely to be drawn from the findings of the NetEasy Score (e.g. if your score reveals that you need to retrain your agents to make them more knowledgeable). However, the benefits of implementing the NetEasy Score can far outweigh the costs. This is because, as expensive as it may be to fix these weaknesses, it is unlikely to exceed the amounting costs attached to the problem itself. 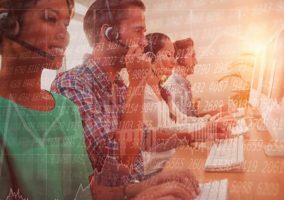 Such expenditure could be linked to an excess of calls into your contact centre (costing valuable agent time) and increased churn rates. In addition, NetEasy Scores are very easy to generate, so you can constantly monitor the success of your improvements as you strive to make your processes easier. With all this in mind, it makes good business sense to understand where your customers are having difficulty with your processes, and to spend money getting the basics right. This is especially worthwhile as it has been found that customers who have an easy experience are 40% less likely to churn. Great comment Sean, and you’re exactly right. Often the Net Easy score on initial contacts is artificially high, and it drops off noticeably as the number of contacts to resolve goes up. So we do also survey after final resolution to make sure we understand the customer’s view of the true end-to-end experience delivered. We have a number of clients using this methodology we too changed the question style to make it easier to understand using telephone surveys. This question can also be used alongside Net Promoter as they cover different areas of measurement. Analytics against other, staff based questions give real granularity via acceptably short surveys. Collecting more detail for high and low scores helps drive improvements where needed. Please give me more details as to how exactly this works and if there are any costs involved. Thank you. Sarah. I would agree with the author, it’s not a replacement for Net Promoter. NPS is a process not just a measure. It’s used to continually improve customer experience to drive loyalty and it works in my experience. I’ve yet to see any conclusive evidence that NetEasy actually does improve loyalty. We checked with Nicola and there were no costs invloved if other contact centres wanted to use this metric. We have tried to explain it in a reasonable degree of detail. It works in a similar way to the NetPromoter Score so it may be worth you reading up on that. Anyone have any benchmark scores to go on? Any examples of experiences / players featuring a very high score?